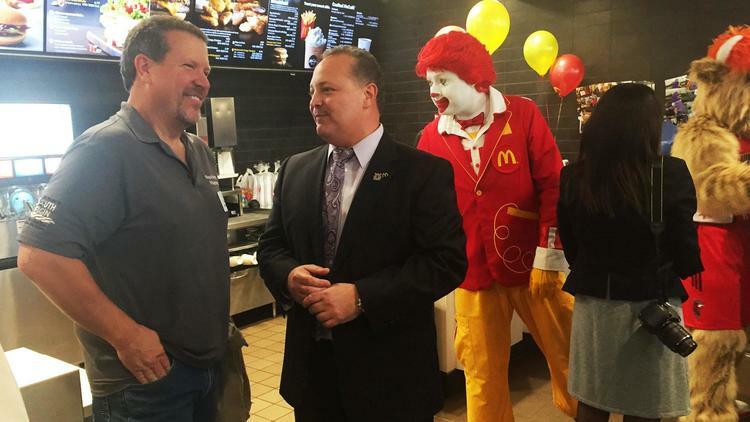 “When the Bear family opened its South Elgin McDonald’s location, the site at the corner of McLean Boulevard and Spring Street was surrounded by farm fields, David Bear said. When his parents, Jerry and Marcelle Bear, said they wanted to open a store in the village, the younger Bear said he had to drive out to the location to determine where exactly South Elgin was. But he also learned that becoming part of the community would help the store succeed, David Bear said. He became involved in the South Elgin Business Association and later the South Elgin Economic Development board, and later helped found the South Elgin Parks and Recreation Department’s FUNdation. Built as one of the smaller locations designed by the fast food giant, the store recently reopened following a major renovation and is one of just 30 restaurants worldwide to use a new, updated kitchen layout, David Bear said. It also now has four self-ordering kiosks and many of the other amenities the Oak Brook-based company plans to move all its locations to. A grand reopening for the South Elgin store was held this week and included both David Bear, Marc Bear, and their parents, Jerry and Marcelle Bear. The elder Bears opened their first McDonald’s — the Larkin Avenue store — in 1967 in Elgin. The family, operating as Bearco, now has stores throughout the Elgin area and Chicago suburbs. Their headquarters are also in South Elgin, on Route 31.